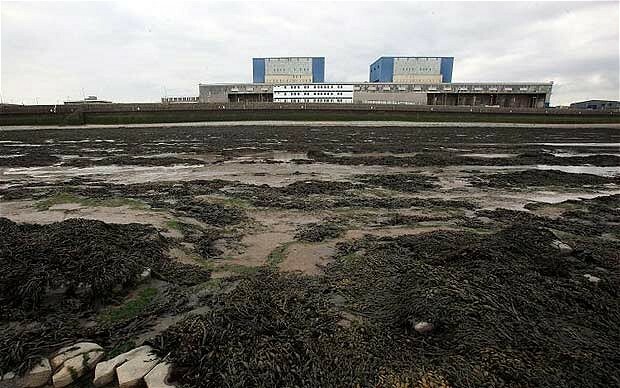 In an open letter to the Sunday Telegraph, MPs and academics call for the National Audit Office to review nuclear negotiations between the Government an EDF Energy over financial support for the Hinkley Point C nuclear power plant in Somerset. The Department of Energy and Climate Change and the Treasury are negotiating with the French nuclear corporation EDF about the financing of possible new nuclear in the UK. Through these negotiations, the Government is aiming to guarantee a set price for nuclear energy – a ‘strike price’. This price will be well above the market price for electricity, meaning that UK taxpayer and energy consumer will be paying the difference. This contract will be locked in for very many decades – up to 40 years. The impact of this contract will be to shift the economic risk of building new nuclear facilities from the nuclear corporation to the consumer. Because of ‘commercial confidentiality’, there will be very limited Parliamentary or public access to information about important details of these non-reviewable contracts. Normally contracts of this scale and length would include provision for re-negotiation as and when circumstances change – and we need to know how and when these triggers would initiate. We are also concerned about a lack of transparency around contingency budget arrangements for cost overruns and indexation. For negotiations with such important outcomes, we are concerned that these talks lack the necessary democratic accountability, fiscal and regulatory checks and balances. So, in the context of openness, transparency, fiscal and regulatory accountability, and ‘best value’ for the UK taxpayer and energy consumer, we have joined together in requesting the National Audit Office to – as soon as possible – conduct a detailed review of the form and function of the negotiations between Treasury/DECC and EDF. Alan Whitehead MP Member of the Commons Select Committees on Energy and Climate Change and Environmental Audit, Chair of PRASEG (Associate Parliamentary Renewable and Sustainable Energy Group) and Co-Chair of APSRG (Associate Parliamentary Sustainable Resource Group). Simon Hughes MP Deputy leader of the Liberal Democrat Party, former Shadow Secretary of State for the Department of Energy and Climate Change. Caroline Lucas MP Member of the Parliamentary Environmental Audit Committee, Co-Chair of the All Party Parliamentary Group on Fuel Poverty, Vice Chair of the Public and Commercial Services, Vice Chair of the All Party Parliamentary Group on Peak Oil and Gas, former Leader of the Green Party. Zac Goldsmith MP Author of The Constant Economy, served as Deputy Chairman to the Conservative Quality of Life Policy Group. Joan Walley MP Chair of the Environmental Audit Committee of the House of Commons. Martin Caton MP Member, Environmental Audit Select Committee. Mike Weir MP SNP Westminster Spokesperson for Trade, Industry, Business, Energy and Climate Change. Mark Durkan MP Former Deputy First Minister of Northern Ireland. Dr Paul Dorfman UCL Energy Institute, University College London; Joseph Rowntree Charitable Trust Nuclear Policy Research Fellow.